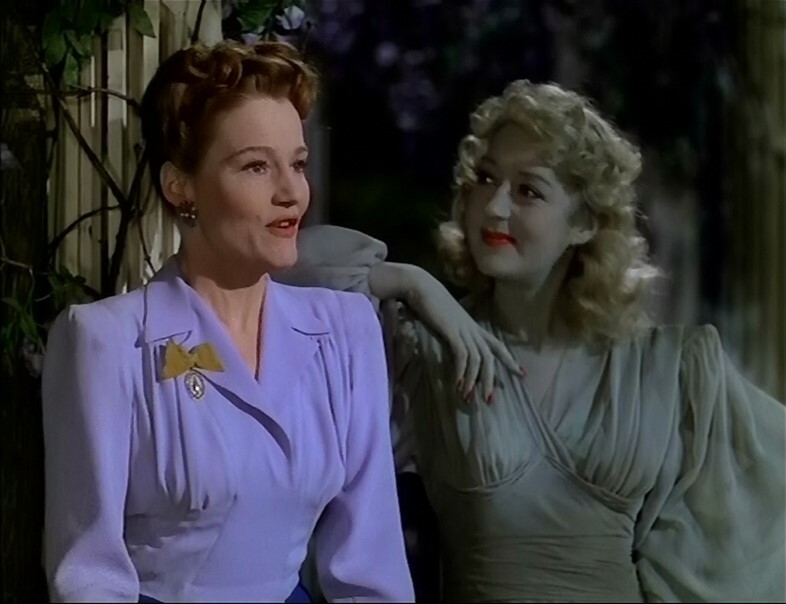 Noel Coward’s comedy Blithe Spirit may have lost some of its theatrical whimsy and comedic blitheness in the transition from stage to screen, but its spirit flourished. Reimagined by director David Lean in 1945, the play was transformed into a technicolour supernatural fantasy full of cutting one-liners, absorbing performances and stunning visuals. It's centred around the return of Charles Condomine’s (Rex Harrison) ex-wife, the revenant Elvira (Kay Hammond), and the story explores what happens when we resist spiritualism or, perhaps, resist the ghosts of our past. Conjuring the past is a habit of American designer Anna Sui. In her latest collection, she dissected glamorous 1940s style spirits and celebrated the “tastemakers of the 20th century”, inspired after reading Elsa Schiaparelli’s biography. She is renowned for borrowing from the best in pop culture and her ability to reinvent sartorial history for a different generation season after season. And now, with a long career behind her, she is inviting us to explore her own spirits. Opening today is her first UK-based retrospective, The World of Anna Sui, at the Fashion and Textile Museum. But, before exploring Sui’s own sartorial ghosts, we ease ourselves in by decoding the style of Blithe Spirit, which inspired her A/W17 show. 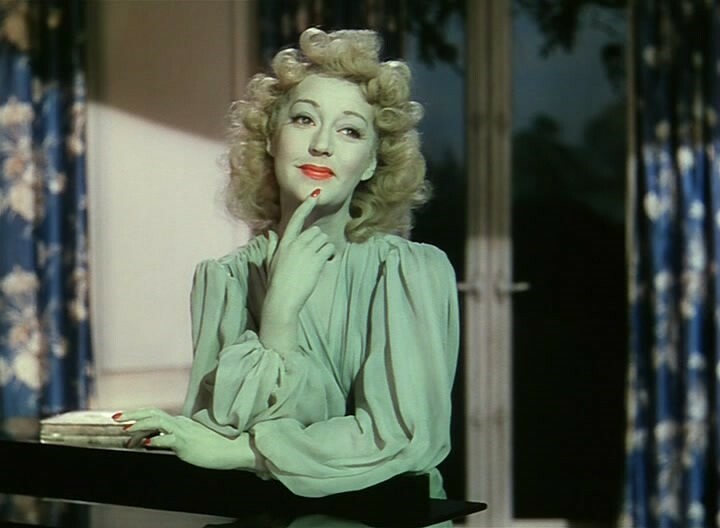 During a teasing and tense discussion with Charles about his first wife Elvira, Ruth, played by Constance Cummings, changes into a green evening gown with a red jewelled neckline. Both characters’ questions are spiked with envy and, for Ruth, insecurity. While the green gown seems innocent of meaning at first, it is upon the arrival of Elvira’s spirit we realise its symbolic status. Painted from head-to-toe in a shimmering washed out green, reminiscent of Elsie de Wolfe’s interior design, and with rouge nails and lips, Elvira’s return is driven by envy and lust. 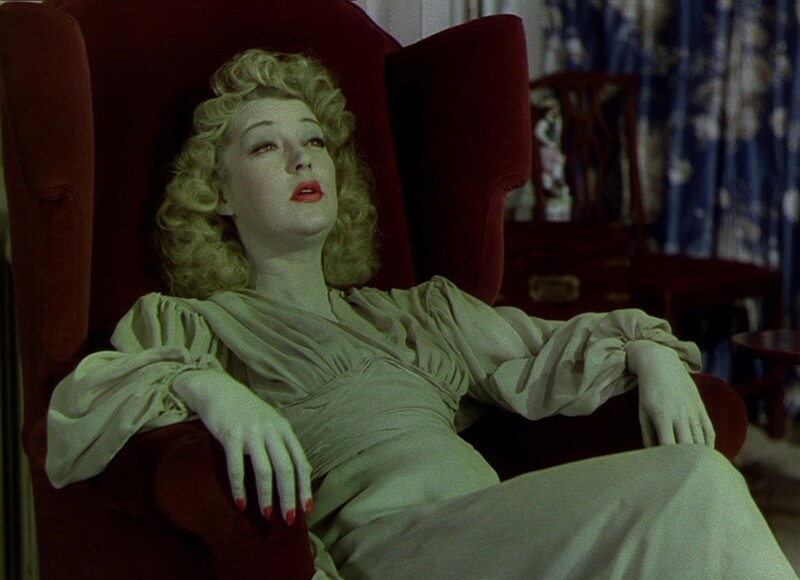 While looking gloriously glamorous, green plays its symbolic role by reminding us, the audience, to check in with our emotions before they come back to haunt us. Lean spikes evening scenes with a sense of fantasy and exoticism – they carry a feel of grandeur and heightened luxury. Sui takes note of this for A/W17, presenting a selection of “sparkling dress-up-for-dinner ruffled blouses”, and much like the designer herself, Ruth knows the importance of dressing for the occasion. While her daytime look reflects the rosy-washed lunchtime scene, her lilac and purple evening gown is more in tune with the sparkling crystal glasses and modestly decorated fine china placed on the dining table. Ruth’s ensemble matches the cool evening light and the flowers twisting around garden pillars, while also providing an almost sickly contrast to Elvira’s green. 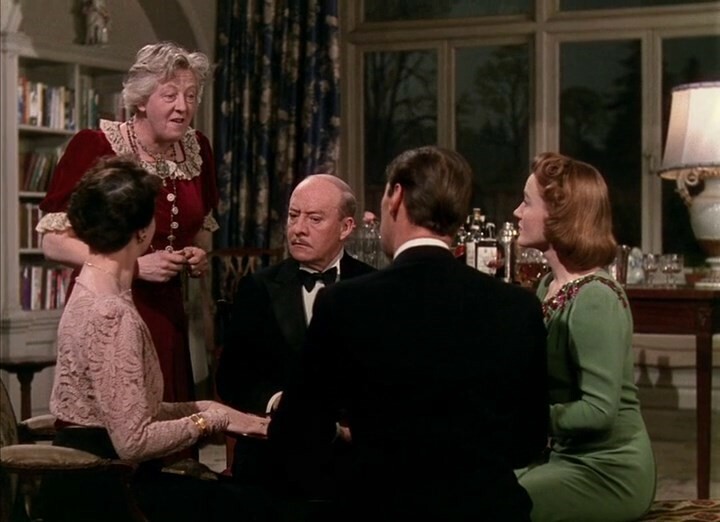 Ruth, Charles and the Bradmans approach the seance scene with mockery; they joke on the behalf of Madam Arcati, characterised by Margaret Rutherford, calling her an imposter. But, it is the characters’ misuse of and intentional refusal to be open to spirituality that causes it to backfire – only once Charles embraces Elvira are they both able to open up about their relationship and expel the secrets that haunt them. When Madame Arcati enters deep trances and allows herself to fully get lost in the experience she achieves her greatest spiritual successes. 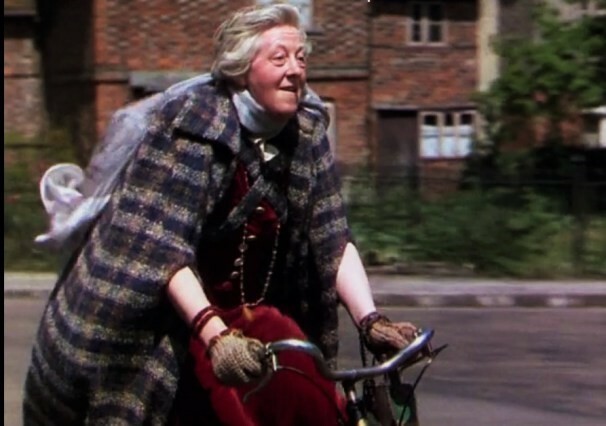 Madame Arcati is an oddball, her profession and dress considered “funny”, and we’re first introduced to her character when she is riding her bicycle, holding her head high as her tartan cape flaps in the wind. Later on we see her wearing a fitted tartan shirt, and during the final scenes of the film she is dressed in a tartan two-piece. Compared to the other characters, Madame Arcati’s dress is slightly ‘off’; her velvet red gown is a heavier and fussier version of Ruth’s; her jewellery isn’t delicate, but chunky and layered. Despite her difference, she is the character who is most sure of herself and pays no attention to the initial prejudice of the group. She’s a style outcast, sure, but the film celebrates it. Anna Sui admired the creative collaboration of Schiaparelli and her friends – Noel Coward being one of them – as well as the shared support they provided, and it is this feeling of ‘camaraderie’ she wanted to honour through her collection. 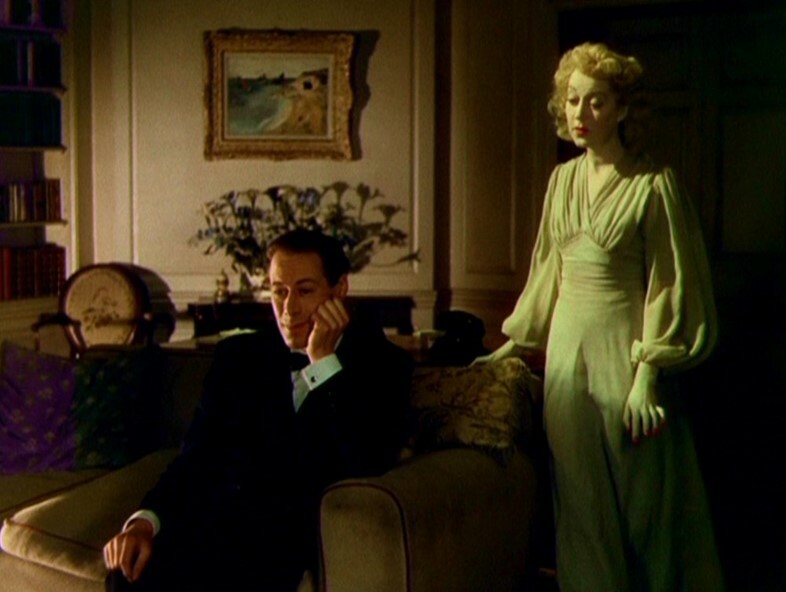 Teamwork is something the characters of Blithe Spirit would have done well to adopt; Ruth, Elvira and Charles make sharp and comedic jabs at one another throughout the film, their individual tensions manifesting as a resistance to simply getting along. Here, Madame Arcati acts as the medium – in more ways than one – by encouraging the characters to listen to each other. It is only during these moments resolve can be found. That is, until she leaves. Maybe some ghosts simply can’t be tamed. The World of Anna Sui runs until October 1, 2017 at The Fashion and Textile Museum, London.